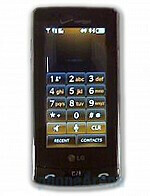 It seems like you can't go a day without something new coming out about the LG Versa VX9600. A few days ago we reported it was due out sometime in March, but today we learn that the release date is set for March 1st, as shown by the leaked image taken of Verizon's InfoManager. 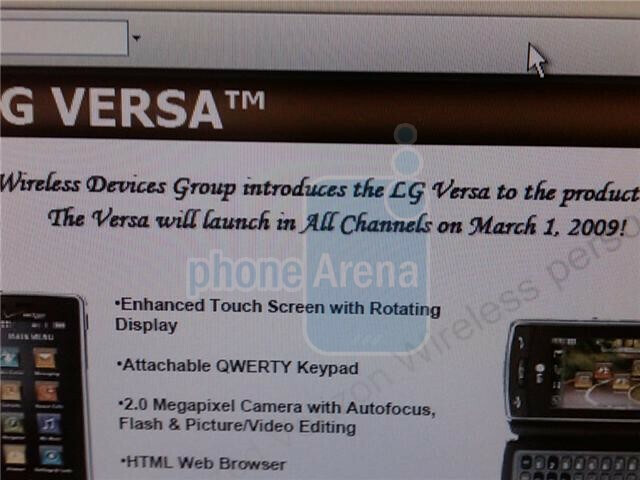 Those of you who have been following the Versa already know by now that it will have detachable modules (QWERTY keyboard, speakers, game pad) but the image also shows it to have a 2MP Autofocus camera with Flash, and an HTML web browser (similar to the Dare and Voyager). Unfortunately, the pricing is not show in the image, but we'll let you know once we find out. I heard it is going to come w/ the attachable qwerty keyboard. Yeah so much for the multitude of detachable modules, the only one aside from the keyboard is a gamepad similar to a snes controller minus the shoulder pads. So basically, this is just another edition of the Dare. FYI... that is not Verizon's Infomanager.